What makes Personal Training better at Milagros? All of our Personal Trainers have degrees and certifications in health and fitness related fields, and are CPR certified and insured. 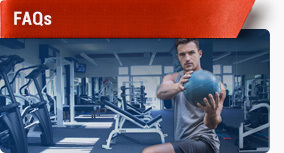 You will be training in a clean, upscale and professional environment specifically designed for Personal Training. Our facility is light, bright and airy with cool ocean breezes (3 blocks from the beach) throughout the day. What are the hours of business at Milagros? The hours of our facility are by appointment. You and your trainer will determine the best time for your workout sessions, depending on your schedule. Most trainers start as early as 5:00 or 6:00 am, and end with sessions at 7:00 or 8:00 pm, Monday through Saturday. Even Sundays are optional with some trainers. Can I work out at Milagros if I'm not with a trainer? You are allowed unlimited use of all Cardiovascular equipment at any time. This consists of: elliptical trainers, treadmills, steppers and the recumbent bikes. All other equipment is used only with supervision by your trainer, during the workout. 30 – 40 min of cardio goes by real quick when every cardio area is equipped with its own 36” Sharp Aquos flat screen and has its own Direct TV Satellite box. What is the average age and gender of clients that train at Milagros? Our oldest client is 88 and the youngest is 14. The average age is between 35 and 55. 65% are female and 35% male. How many times a week do I see a trainer at Milagros and what type of results can I expect? If your goal, like most, is weight loss and muscle toning, a good regime is to workout with the trainer 2-3 times per week, and do 40 minutes of cardio exercise 3-4 times per week. This should give you excellent results, both in changing your body image and in improving your health. The more you train with us and follow our diet recommendations, the better you are going to look and feel. Remember, we are here to help increase your motivation and guide you in the most effective techniques to achieve your goals. If you have a question that we have not answered? Please send us an email, we would love of hear from you. 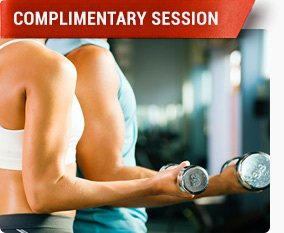 Call now about your complimentary first time training session at Milagros. The 5 most asked questions. Speak with a representative for more details about our Gift Certificates for Training Sessions. Milagros is a private one-on-one training center designed to provide you with the best possible environment to achieve your health and fitness goals. © 2019 Milagros Fitness. All rights reserved.